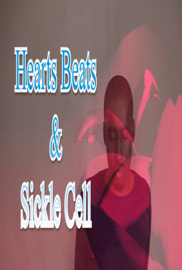 Documentary focusing on the subject of Sickle Cell Disease. Sickle cell anemia is a serious disorder in which the body makes sickle­shaped red blood cells Rather than the red blood cells sickle cells are shaped like a crescent or C-shape. Sickle Cells get stuck in blood vessels, blocking oxygen and blood flow in body causing severe pain in what is known as a Sickle Cell Crisis. There are no standard treatments that cure sickle cell anemia. However, there are treatments that help people manage and live with the disease. We speak with those effect personally by the Sickle Cell, their family and friends, and people within the medical field who work in the treatment of the disease. The documentary is meant to be informative, entertaining, educational as well as spiritual. The documentary is unique from others of its in that it contains a spiritual element. At the end of the documentary there is a prayer which is the final scene of movie follow by the end credits.